Rara Lake Trek is an interesting chance to be among the individuals who have stepped on the remote trails of western Nepal. The 15-day trek starts with visits to UNESCO World Heritage Sites in Kathmandu pursued by a trip to Nepalgunj and after that to Jumla. From Jumla, you will set forward on a voyage that guarantees more prominent isolation and an opportunity to be within the sight of the fabulous Rara Lake. 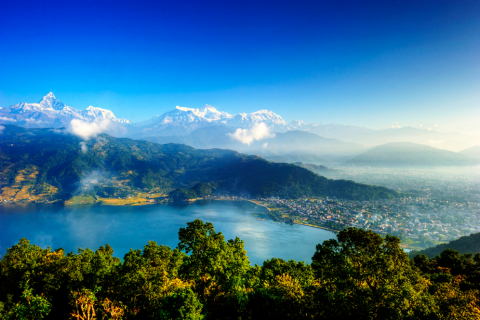 It is the most noteworthy lake in Nepal and gladly tended to by the Nepalese as the Queen of Lakes. Amid your trek, you will likewise be entering the Rara National Park which is viewed as one of the best stops on the planet and is perfect territory for musk deer, Himalayan wild bear, panther, Himalayan goral, and other fascinating creatures. On your adventure you won't just be within the sight of snowcapped mountains, forests and captivating lakes yet will likewise get the opportunity to observe the provincial existence of local people who consider this remote land their home. The trekking trail that is 'off the beaten trail' in nature has the attributes of intersection the Ghurchi Lagna Pass at 3450m and a great deal of edges at 3000 m separately and heads to the amazing village. Rara Lake Trekking demonstrates the best of the well beyond of the harder trekking trail, where you will be gulped by the wonders of the capturing nature, you have chosen to investigate from your nation. This trek is free from groups, and it closes from where it started. Rara lake trekking is appropriate for any walker searching for something somewhat more difficult and vivacious. It doesn't necessitate that you have any past trekking or mountaineering knowledge. Although the landscape isn't troublesome, some vivacious climbing background is valuable. Furthermore, it doesn't require any specialized understanding; just that you be in great physical molding and have the capacity to climb for 4-6 hours over sloping territory with a light day pack. Early in the morning, we take a flight for Nepalgunj which is around 1 hour from Kathmandu. Nepalgunj is one of the greatest towns situated in Nepal-India border in western Nepal and furthermore passage to Kailash by means of Simikot. Exchange to the inn for the night. After having our breakfast, we leave the hotel for the trip to Jumla. Jumla is a standout amongst the least created locale in Nepal and a large portion of the pieces of Jumla are yet unfamiliar by explorers. We stay the night at Jumla for acclimatization. Stay the night at camp on full board dinners with hot beverages. Today, after our breakfast we start our trek to Chere Chaur. The adventure begins with a climb along the Jugad stream. The trail goes through green forests, wonderful villages, antiquated religious communities and markets with stunning scenes see. Stay the night at camp in Chere Chaur on full board suppers with hot tea and coffee. Today is the second day of our trek, begins with hot breakfast and trail goes rise until the Jaljala pass. Jaljala pass is not a hard such like different passes since it quantifies just 3,580m from ocean level. In addition, subsequent to the intersection the pass trek proceeds with the straight approach to Jaljala Chaur. In the wake of coming to Jaljala Chaur we take rest for certain minutes and after that trail goes rise to Chala Chaur. Medium-term at camp in Chala Chaur on full board dinners with hot beverages. After having our breakfast, the present trek begins with a climb to Sinja valley which goes through a few settlements, thick forest along the Jaljala stream. Sinja is an antiquated capital city of Khasa kingdom which managed this area from twelfth to the fourteenth century. Medium-term at a tented camp on full board dinners. After hot breakfast, we extend our trek with the tough trail along the Hima River by intersection Laha village, forests and wonderful valleys. In transit, we should cross a suspension bridge. Stay the night on a tented camp at Gorusinga with full board suppers. Our trek starts with hot breakfast and experiences Chuchhema Danda. Chuccheman is one of the best perspectives to get the respect perspectives on Himalayan ranges and hypnotizing Rara lake. One the way we go through Khatyar stream and the couple of villages including Murma. Medium-term at the tented camp in Rara Lake on full board suppers with hot tea and coffee. Today is multi-day to investigate around Rara Lake. Rara Lake is the biggest freshwater lake in Nepal situated at an elevation of 2,290m and has a surface of 10.8 sq. km. We do vessel to respect the pleasant setting of the lake and watch verities of fish. Additionally, climb around the Rake Lake for shocking perspectives on Himalayan tops on the southern and northern side of the Lake. Medium-term at rose camp in Rara Lake on full board dinners. After breakfast, our trek moves towards to Pina village. We start our climb with simple and straight trail until Gamgadi. Gamgadi is the central station of Mugu region where government workplaces are found. At that point after, we stroll down to get Pina village. Stay the night at Pina town in a tented camp on full board suppers. The present trek begins with descends climb by crossing Ghurchi Lagna pass (3485m.) with delightful mountain perspectives and villages to get Bumra. Bumra is one of the excellent villages in this district. This village is otherwise called Nauri Ghat. Medium-term at Bumra in a tented camp on full board dinners. After having our breakfast, we start our last day trek along Hima River and cross a suspension bridge. The trail goes to downhill at that point appreciate hot spring where you can clean up and get some relief your aching body. At that point after we proceed with our climb by intersection Danphe Lagna pass (3690m.) and reach Jumla. Stay a night at Jumla in tented camp with full board suppers. After our adventurous long climbs, we return a trip to Nepalgunj promptly in the first part of the day and afterward at night we take next trip for Kathmandu around the same time. We exchange to the Hotel the airplane terminal for freshening up. At long last, we will have a goodbye supper at a regular nearby Nepalese restaurant with the cultural dance show. 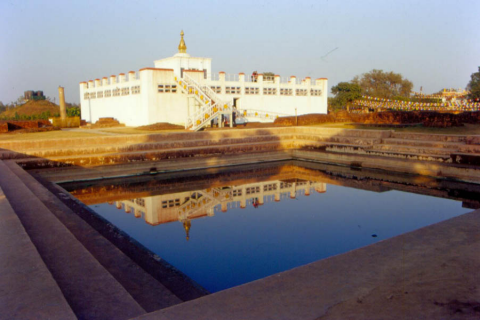 • Visit one of the largest lakes of Nepal which measure is approx. 13 KM. • Watching diverse assortments of birds amid the trail. • Outstanding scenes and mountain views amid the trek. • Exploring secluded and natural beauties of remote Nepal. 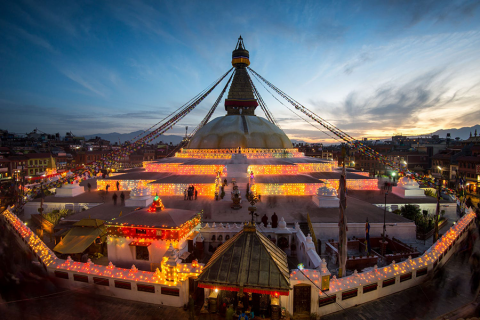 • Visiting UNESCO world cultural heritage sites of the Kathmandu Valley.